WASHINGTON (AP) — Federal efforts to rebuild depleted fish populations have largely been successful, but pressure to overfish some species remains high, and some fish stocks have not rebounded as quickly as projected, according to a new report by a scientific panel. The report by the National Research Council says 43 percent of fish stocks identified as being overfished were rebuilt or showed good progress toward rebuilding within 10 years, the time limit required by federal law. Another 31 percent were on track to rebuild if sharply reduced fishing levels remain in place, the report says. But the report also says 26 percent of overfished stocks continue to be overfished, due to ineffective enforcement and errors in fish stock estimates that led officials to set catch limits that were too high. The report, released Thursday, said fishery management plans continue to be plagued by uncertainty, noting that 20 of 55 fish stocks examined by the research council were not actually overfished despite being classified as such by the National Oceanic and Atmospheric Administration. The variation in success rates "reflects a mismatch between the current prescriptions for rebuilding (depleted populations) within a limited time frame and the uncertainties inherent in assessing and managing fisheries," the research council said. While overfishing is a key cause of depleted fish stocks, climate change and other ecological factors can also drive changes in fish stock populations, the report said. Those dynamics, along with data limitations on fish populations and health, complicate efforts to rebuild fish populations within the required 10 years, the research council said. The report identifies several strategies to improve management of federal fisheries, including taking action to avoid overfishing before fish populations drop to levels where they are considered overfished. Such a strategy could help fisheries avoid strict limits that come with rebuilding plans, such as occurred earlier this year when the New England Fishery Management Council approved steep cuts in cod fishing off the Maine, New Hampshire and Massachusetts coasts. New England fishermen say their centuries-old industry faces collapse in the wake of the new rules, which reduce the cod catch to just a fraction of its historical totals. The rules prevent fishermen from landing more plentiful groundfish species, such as haddock and pollock, because those species cannot be pulled up without catching too many of the cod that swim among them. Cutting back on cod fishing before the species faced disaster "would have helped, instead of waiting to the end when a huge balloon payment" of drastic fishing reductions was needed, said Patrick Sullivan, an associate professor of natural resources at Cornell University who co-chaired the research council report. The report also takes aim at the 10-year timeline to rebuild fisheries. The time frame was mandated by Congress in the Magnuson-Stevens Fisheries Conservation and Management Act, the law that regulates fishing in the United States. While a fixed time-frame can help ensure rebuilding occurs at a reasonable pace, it "also can create inefficiencies in practice," the report said. If fish recovery is slower than expected, it could lead to "severe reductions in target fishing" levels that could in turn cause economic hardship, the report said. New England fishermen and members of Congress in the region have blamed the 10-year rebuilding requirement for drastic cuts in New England groundfish, including cod and haddock, that have failed to recover. Former Rep. Barney Frank, D-Mass. and former Sen. Olympia Snowe, R-Maine, requested the research council report in 2010, in part because of concerns over the 10-year rule. 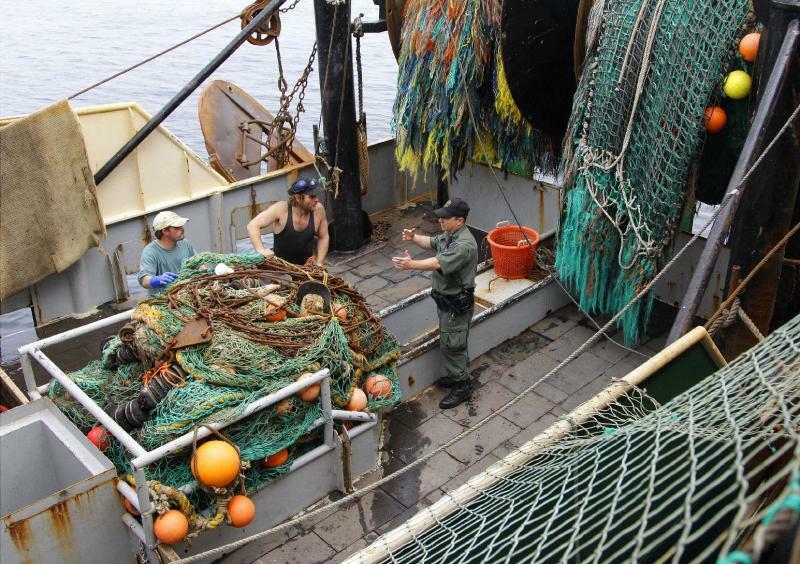 Rep. John Tierney, D-Mass., a longtime NOAA critic, said Thursday there are "serious flaws with the current catch share system, which are leaving our struggling fishermen without options." Tierney said he was still reviewing the report but said he remains committed to "responsibly reforming the Magnuson-Stevens Act, as well as ensuring fairness for our fishermen and improving science and data collection." Sullivan, the report author, also cited the need for NOAA managers to have better data on fish populations and health. He compared fisheries management to predicting the weather. "You make predictions, and suddenly we know what's happening" in the ocean, he said.